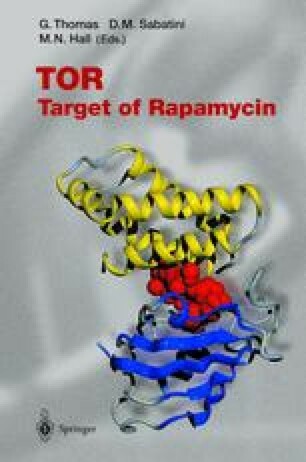 The TOR kinases were first identified in Saccharomyces cerevisiae as the targets of the immunosuppressive drug rapamycin. Subsequent studies employing rapamycin as a tool in yeast have given us insight into the structure and function of the TOR kinases, as well as the biological role of the TOR signaling program in transmitting nutrient signals to promote cell growth. One of the major advances from this area has been in defining an unexpected role for TOR signaling in the regulation of transcription. The identification of target genes subject to regulation by TOR has provided a platform for the dissection of the signaling events downstream of the TOR kinases. Studies aimed at understanding TOR-regulated transcription have begun to shed light on how TOR signaling cooperates with other signaling programs. In addition, the TOR pathway regulates the developmental program of pseudohyphal differentiation in concert with highly conserved MAP kinase and PKA signaling programs. Remarkably, rapamycin also blocks filamentation in a number of important human and plant pathogens and the mechanism of rapamycin action is conserved in Candida albicans and Cryptococcus neoformans. The antimicrobial properties of less immunosuppressive analogs of rapamycin hold promise for the development of an effective antifungal therapy.